Long time no see! I know, I know.... I'm literally the worst blogger ever! BUT I'm officially BACK! 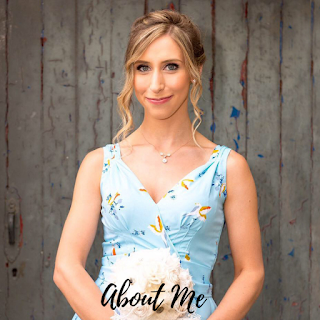 As you all know by now, I started my first job as a Speech and Language therapist back in November and I've found it really difficult to juggle my job along with my social life and blogging. Evidently blogging went on the back burner for a while, but I'm finally ready to carry on. All thanks to my lovely boyfriend Liam! 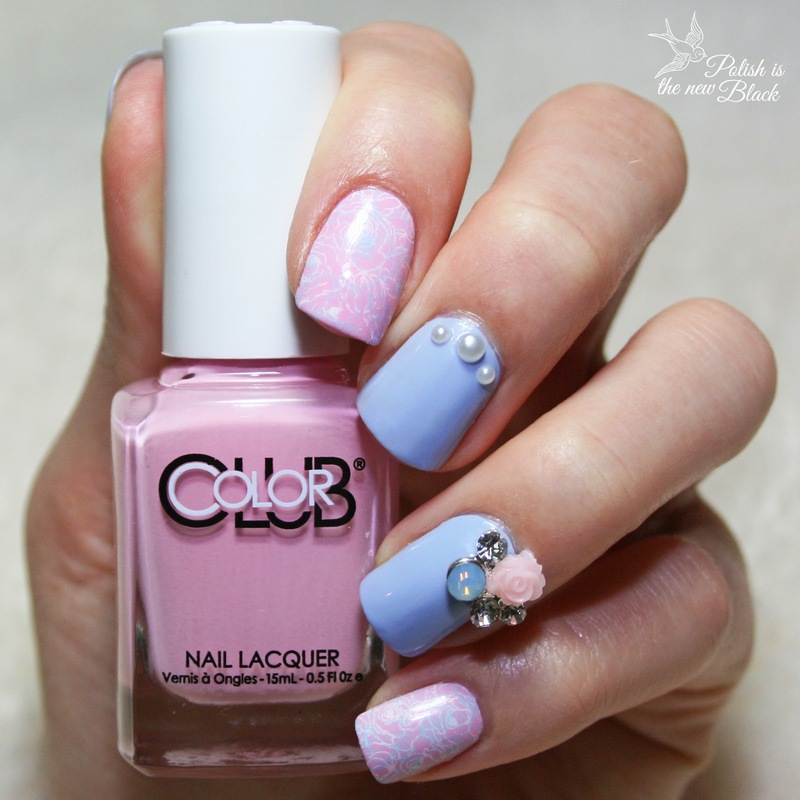 Colour Club: Holy Chic! £5 from Amazon. Colour Club: Je t'aime £5 from Amazon. Moyou London: White Knight £6.99 from Moyou. 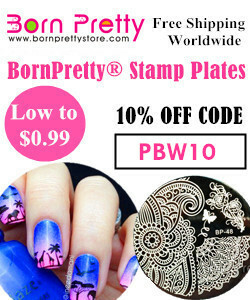 Born Pretty: Light blue stamping polish £7.72 from Born Pretty. Moyou London: Tourist 07 Stamping plate £4.99 from Moyou. Born Pretty: Pearl studs £1.74 from Born Pretty. Daily Charme: Pastel Rose charm $3.99 from Daily Charme. Start off with your choice of base coat & let it dry. Apply 2 coats of Holy Chic to your thumb, middle and index fingers. Apply 2 coats of je' taime to your pointer and pinkie fingers. Let all the coats dry thoroughly - I applied quick dry drops to the pink nails to speed this up as it is essential these nails are COMPLETELY dry before stamping on them (otherwise the polish can be chipped). Using a white stamping polish apply it to the stamping image, scrape off the excess, press the stamper to the design and then roll over your nail to transfer. 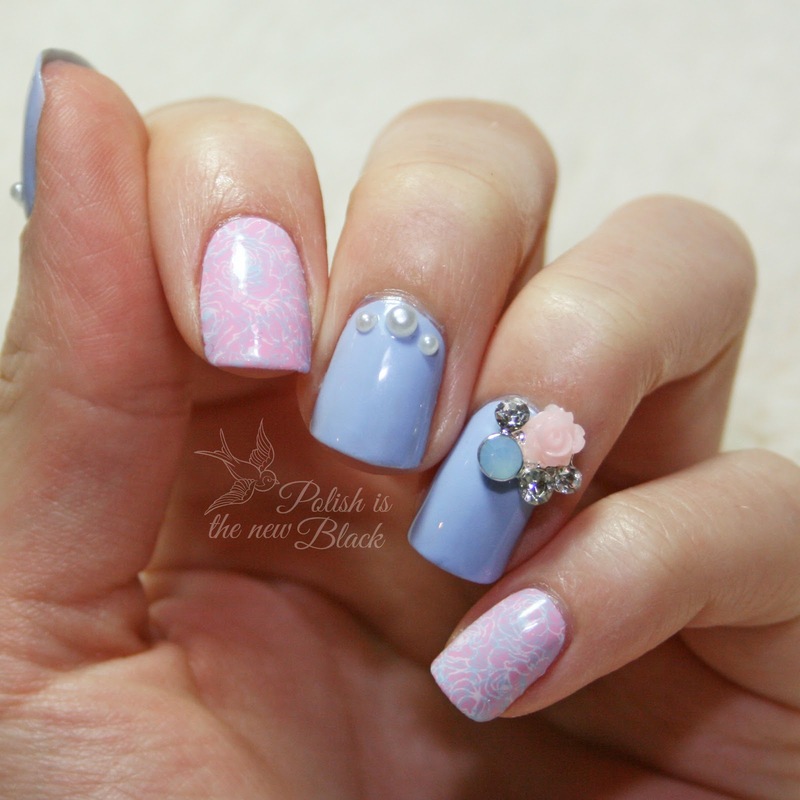 Repeat this step with a blue stamping polish when the first is dry. 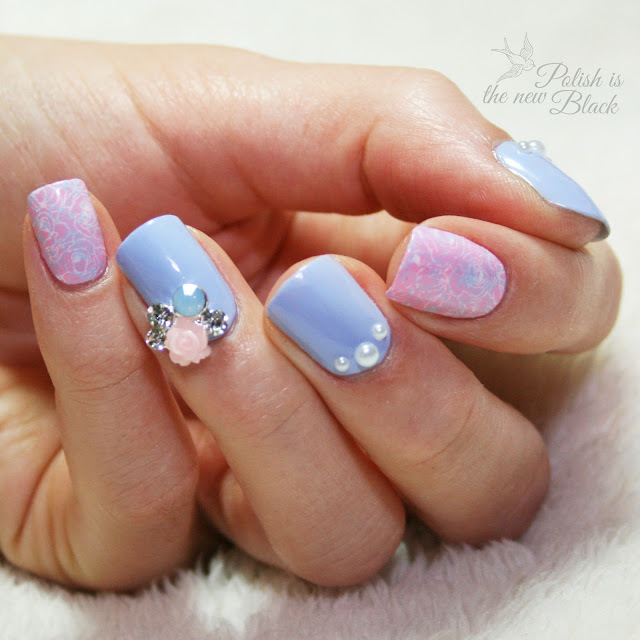 Apply topcoat to finish off the nails and then apply pearls to the thumb and middle finger. Apply charm to index finger.... and you're DONE! 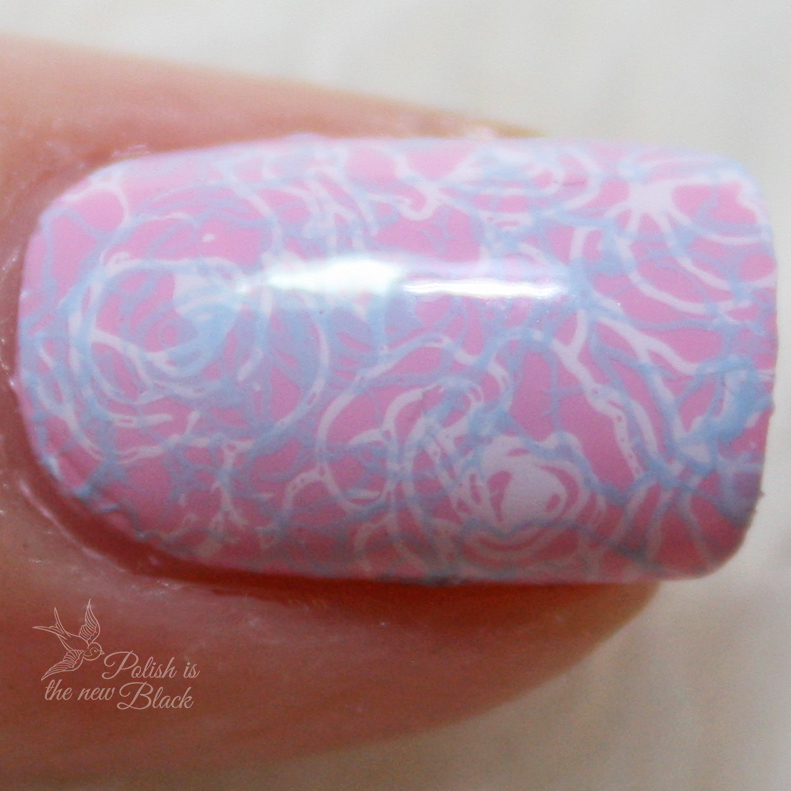 Here you can see a close up of the double stamping. That's it! Very simple but pretty! I hope you guys liked this design - Please let me know your thoughts!